another delicious and healthy recipe from heidi swanson at 101 cookbooks. these dense little nuggets are great for breakfast, lunch, or snack and are highly flexible. 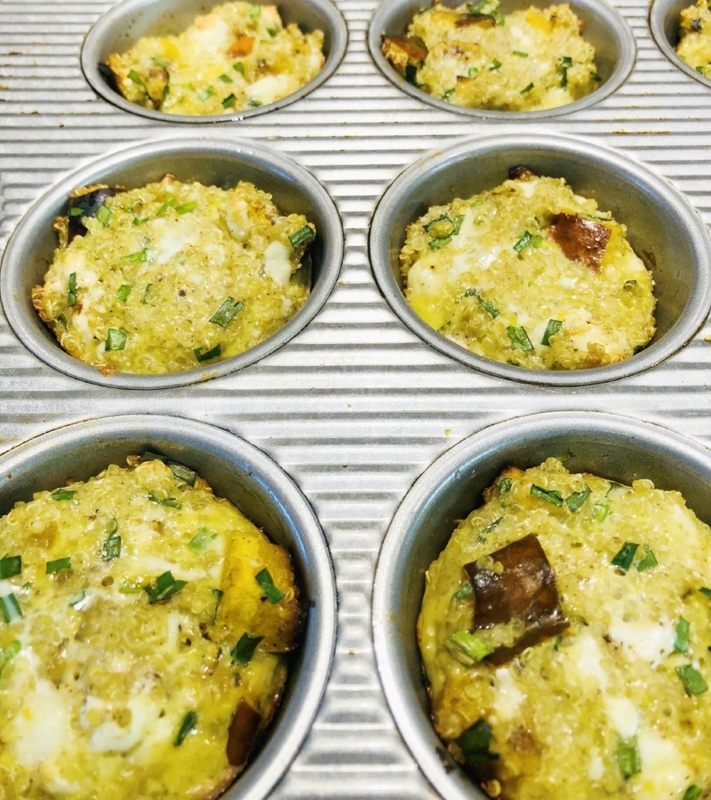 they are almost like a frittata but with the quinoa it makes it a whole little portable meal. i made them as the recipe called for but also made them with leftover roasted squash and queso fresco. this is a great way to use the bits and bobs in the fridge. one more thing, i didn’t add the breadcrumbs and it turned out great without it. thanks heidi for another fabulous recipe!